Add a bold touch to your dining area with this chic Gio dining table. Featuring a round, clear tempered glass tabletop and a polished gold metal base with a wired contemporary design, this dining table transforms your dining space into a stylish haven. 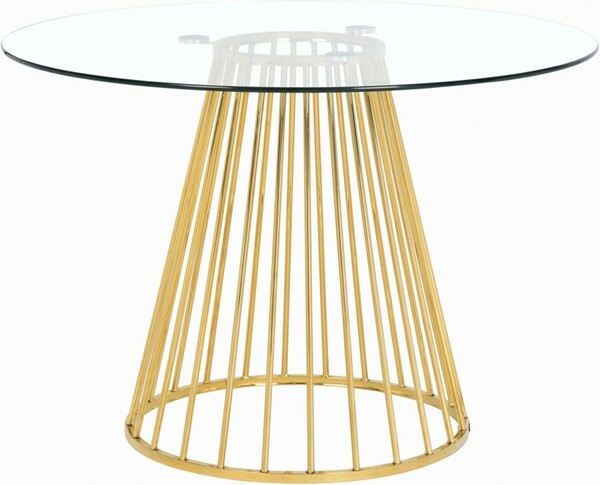 At 48 inches round and 30 inches high, this stunning table offers ample space for you to gather around and enjoy a family meal, while adding drama to your existing modern decor.